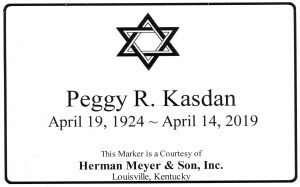 Peggy Kasdan, 94 – Herman Meyer and Son, Inc.
Peggy Ruth Kasdan, 94, died peacefully Sunday, April 14, 2019, at her home in Louisville. She is survived by her sons Martin Z. Kasdan Jr. and his friend Brenda; Jonathan Kasdan and wife Lise; and her four granddaughters, Anna, Becca, Leah, and Lauren. She was preceded in death by her beloved husband, Martin Z. Kasdan. Peggy was born on April 19, 1924, in Louisville, graduated from the University of Louisville, where she was a cheerleader. She had planned on going into fashion, but her heart pulled her into education. Over her career, she taught “the little ones” at a variety of elementary public schools, including substitute teaching after her retirement. Due to the damage of the 1974 tornado, she diligently redesigned her home for a year, all while working, to give the students consistency amid the chaos. Besides teaching, Peggy continued to enjoy fashion, designed floral arrangements and became an avid bridge player. 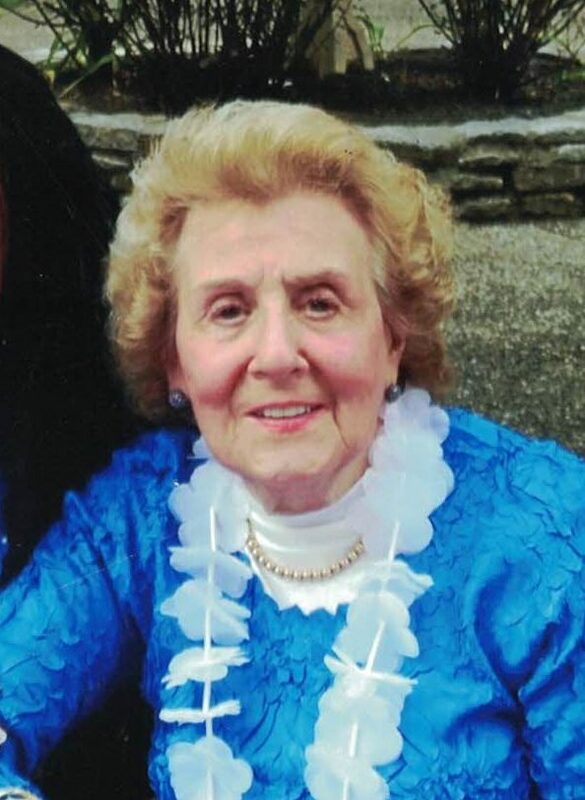 She adored her granddaughters and family, dinners out and watching old movies. The Kasdan Family expresses appreciation for the loving care provided to her by Jo Ann Fremow, and her wonderful caregivers. Funeral services will be at The Temple, 5101 US Hwy 42, on April 19, 2019, with visitation at 12 noon and service at 1 p.m. Interment will follow at The Temple Cemetery. Memorial gifts to The Home of the Innocence, The Temple or charity of your choice are appreciated.